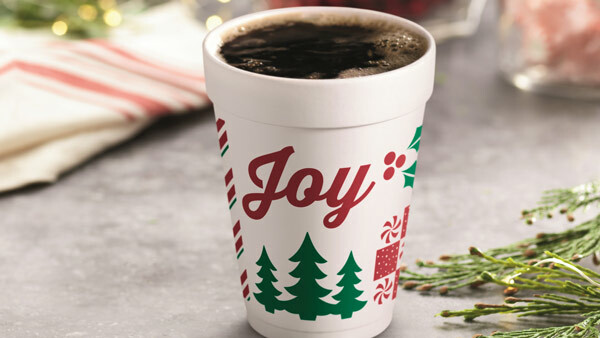 Dunkin' Donuts will be "Brewing Joy" on Wednesday by offering free coffee at its Pennsauken location. The Dunkin' Donuts restaurant located at 6830 S. Crescent Boulevard will serve up to 500 free medium-sized cups of coffee to lucky customers. This is part of the restaurant's "Brewing Joy" campaign, which began on December 1st. Forty Dunkin' Donuts restaurants nationwide are participating this year. Each participating location is donating $1,000 to a local organization aligned with the Joy in Childhood Foundation's mission to bring joy to sick and hungry children. The Pennsauken location will donate to the Food Bank of New Jersey.